If you are following me on my Instagram (points for that!) you have probably already understood by my countless coffee flatlays that i love going to cafes. Not much about the coffee itself i have realised, but rather the ambiance that each store gives to me. 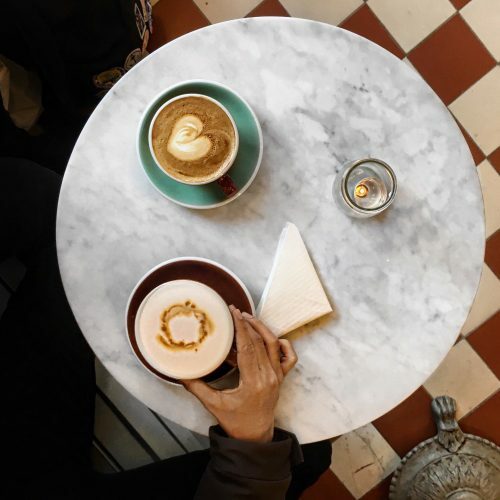 I mean sure who doesn’t enjoy a warm cup of flat white in the morning.. but what intrigues me the most in the whole experience is exploring the interior and details of coffee stores. Everything from the natural lighting to the seating space to the smell has an influence on my feelings which can change my whole aspect of the day! Walking in Noting Hill in a Friday morning and trying not to freeze myself from the cold, i went on the look for a cozy cafe. I have heard about so many nice brunch spots in the area (YES! Granger&Co i’m talking about you) that i was sure there was going to be something nearby to satisfy my need. Stumbling upon The Fabrique bakery, it was love at first sight! The white tiles, the undoubtedly attractive food display and the small marbled tables gave it a very stylish look. 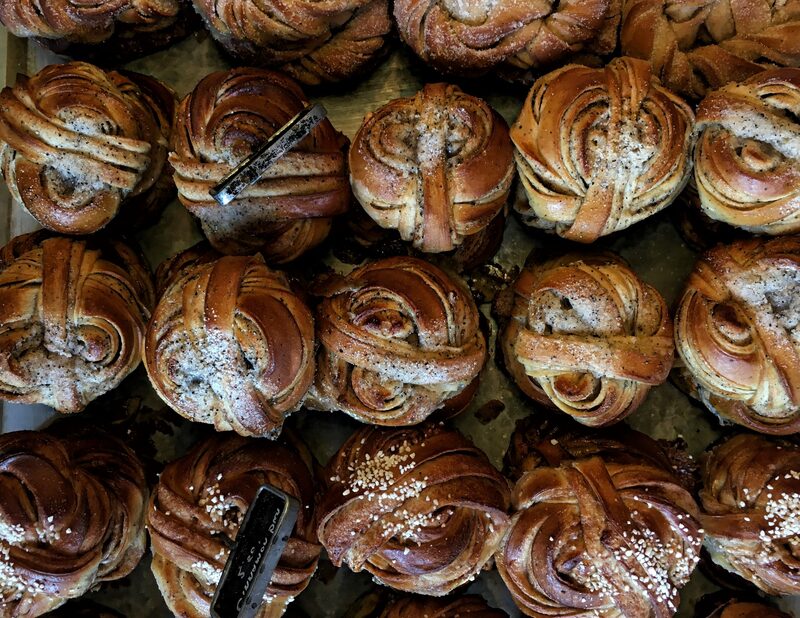 Apparently it’s a Swedish chain that already has a several bakeries in Stockholm and moved into the UK market in 2012. As of today, they have 4 stores in London ( Shoreditch, Covent Garden, Noting Hill and Fitzrovia) all having the same industrial look. 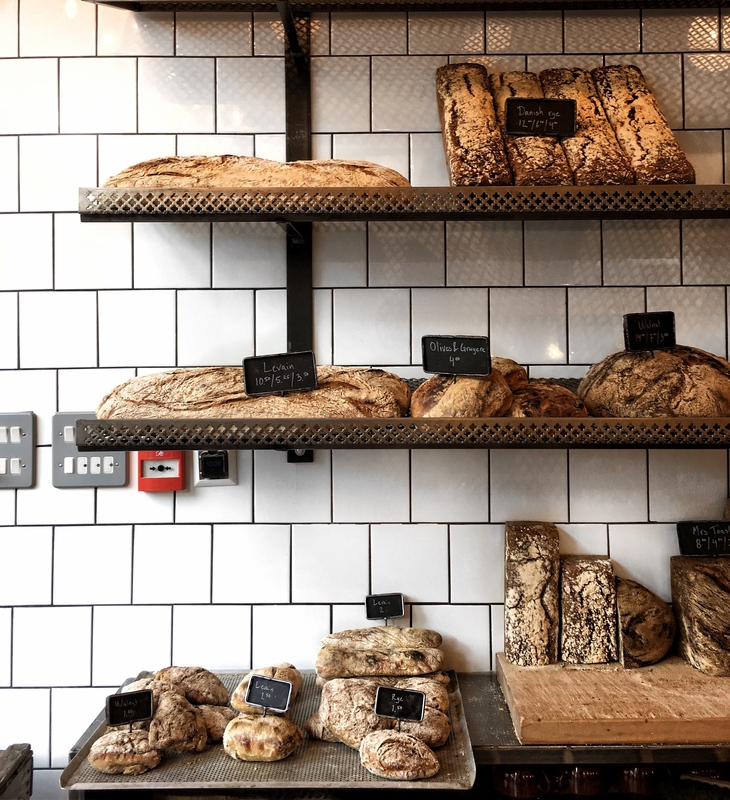 I had briefly heard about their baked goods before as Fabrique was named one of the top five London bakeries by Financial Times and i can’t believe it took me so long to try it out! Their cinnamon buns were heavenly made and exactly what i needed along with my coffee. They also had a big selection of sandwiches which i will definitely be trying on my next visit. If Swedish food tastes that good then i should probably take a trip there soon!